With an assist from the Wyoming Small Business Development Center Network, Gary Cole now runs the type of business he had wanted for years. Gary, who owns Powell Welding and Industrial Supply LLC, went to work as a welder’s helper after high school. 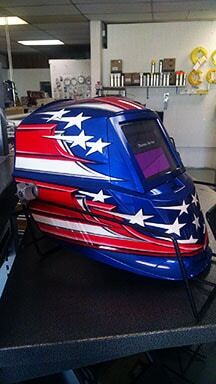 Later, he took jobs in welding supply and spent more than 15 years in the business. Gary often thought of having his own welding supply company. He approached the owners of A&M Welding Supplies in Powell about buying their business. He also discussed his hopes with Bruce Morse, the SBDC’s regional director for Big Horn, Hot Springs, Park, and Washakie counties, but nothing materialized. Then in early 2016, the owners of A&M Welding Supplies decided the time had come to sell. So Gary contacted Bruce again and asked a myriad of questions about how he should proceed. “Gary was bouncing ideas off me, what about the purchase price, how to treat the inventory, what kind of offer might make sense? He was asking the right questions.” Bruce recalled.  Once Gary decided to buy the business, Rob Condie, the SBDC’s regional director for Lincoln, Sublette, Sweetwater, and Uinta counties, added his expertise. Rob is a Quickbooks ProAdvisor, and he helped Gary set up his bookkeeping system. 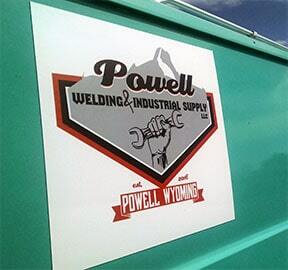 The purchase was completed on May 1, 2016, and Gary renamed the company Powell Welding and Industrial Supply. 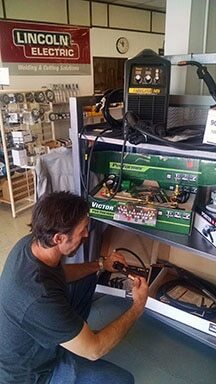 Since taking the helm, Gary has beefed up the store’s welding supplies. He carries a variety of welding gases, gloves, jackets, helmets, and other items. “We probably about close to doubled our selection of the welding supplies,” he said. 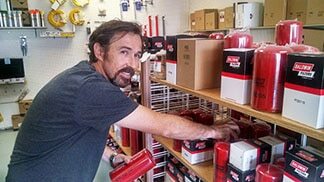 The business also carries Schaeffer’s specialized lubricants and Baldwin filters, which are a line of heavy-duty filtration products. 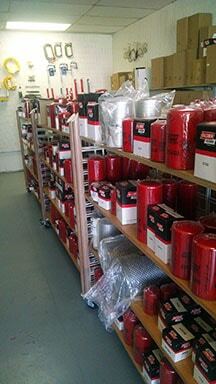 A good selection of hand tools and safety products also are available. Despite falling crude oil prices, Gary has not noticed much decline in business from oil-field operators. At the same time, he said the demand for his products among farmers and ranchers has remained robust. Carl appreciates the way Gary has spruced up the premises, including the addition of attractive product displays. 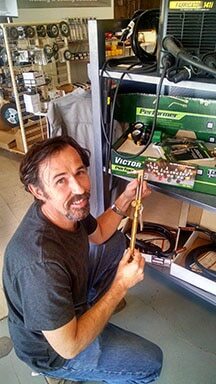 Steel sculptor and painter Mike Kopriva buys mostly acetylene and oxygen gas from Powell Welding and Industrial Supply. Currently, he is working on life-sized steel figures for a local bank.